29 days of TV to watch, four birthday parties to attend, 143 pieces of homework to do and 42 books to read, sounds busy but it is just some of the things that the average boy in the UK will do in a year. A typical boy aged between 6-12 is expected to wear holes in two items of clothing each school term much to the dismay of parents; they will have their friends over 67 times and spend an average of 103 hours outside playing on their bike. We all know children aren’t angels all the time, our average boy will be told off 161 times, roughly three times a week; sent to their rooms 55 times a year; grounded 41 times; and on 52 occasions their favourite toy will be banned or confiscated. It’s not just at home our boys get told off, teachers can expect to tell a boy off 51 times every year. However parents praise and reward their boys 154 times a year for good behaviour. This study was carried out by Cartoon Network and it showed a few surprising results, Sean Gorman, Programming Director, Kids Channels UK and Ireland, said: “This insight into how boys spend their time is a real eye opener – particularly their keen interest in books and dedication to homework.” Our average boy spends 20 days and 20 hours reading every year; this is considerably more than the five days and 16 hours spent playing football and other sports. Every day boys spend an average of one hour and 47 minutes completing homework. When it comes to relaxing and unwinding most boys preferred method is watching TV, over a year they will spend 29 days watching the TV as well as 22 days and 12 hours using mobile phones and tablets. When it comes to toys, unsurprisingly, games consoles and hand held devices were favourites, however surprisingly a popular brand of interlocking plastic bricks were third. 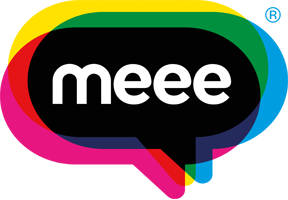 The Meee Education Programme helps young people cope with the increasing amounts of pressure from our education system and society as a whole. We help them recognise their skills, ideas, innovation and creativity and give them the tools to nurture them.